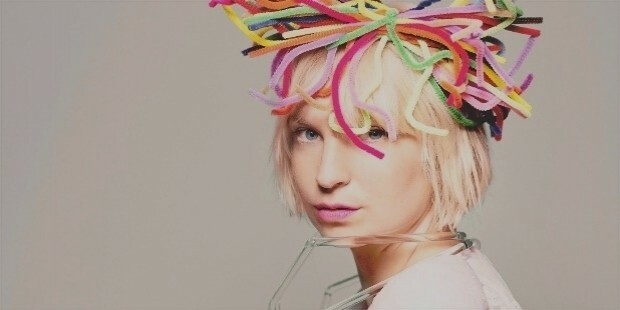 The current landscape of pop music today would not be where it is now if not for the significant contributions of Sia Furler. Mononymously referred to by her first name only, this extremely talented Australian singer-songwriter is responsible for many major pop music songs that have dominated charts, airwaves, and streaming platforms in the past few years. She has practically written for everyone in the music industry from Britney Spears and Katy Perry to Flo Rida and Eminem, as well as many other countless big-ticket collaborators. And far from being just the go-to songwriter for high-profile musicians, she is also a major solo artist in her own right. Furler’s origin story is akin to that of a comic book superheroine: she was cut from the cloth of underground indie music and suffered from major personal struggles before emerging like a phoenix reborn by cleaning up her act and reinventing herself as a premier songwriter to mainstream pop stars whose lyrics achieved the tricky balance of emotional depth and immediate catchiness, as well as influencing the way contemporary musicians today would write and produce their songs. Indeed, the appeal of Furler and her extensive catalogue of work she has done for others and herself speaks to a wide demographic of listeners and has cemented her status as a talented artist with a lyrical bravery and imagination that has inspired many of her peers in the industry. Best of all, Furler was able to achieve her level of success without conforming to the pre-packaged aesthetic standards of the music business and has taken control of her public image which has singularly charmed both the press and fans of her work. 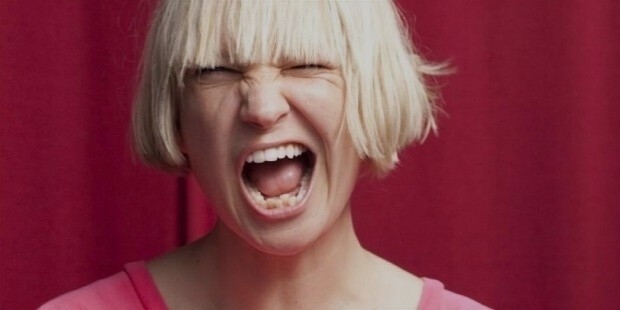 Born as Sia Kate Isobelle Furler in Adelaide, South Australia on December 18, 1975, Furler’s artistic roots were already present since day one because both her parents had creative careers. Her father, Phil Colson, was a musician while her mother, Loene Furler, was a visual artist and art lecturer. Additionally, she is the niece of well-known Australian celebrities Kevin Colson and Colin Hay. As a child, she exhibited an interest in singing and imitated the performing styles of artists like Sting, Stevie Wonder, and Aretha Franklin. By the time she finished her education, Furler’s entry into music began with her participation as a singer for a local acid jazz band called Crisp, while also releasing her debut album called OnlySee. She eventually moved to London in 1997 to pursue her music career outside of her home country and attracted the attention of British trip-hop duo, Zero 7, where she would become the group’s long-term vocalist. 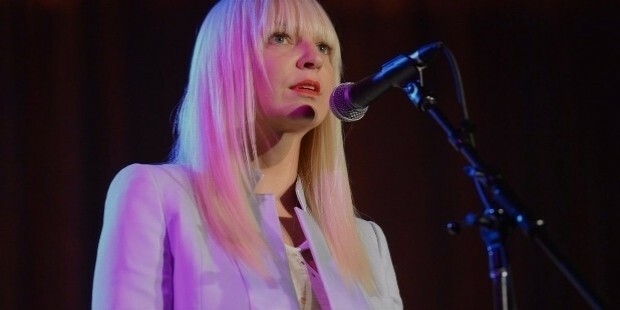 Some of Furler’s earliest works with Zero 7 included critically-acclaimed tracks like “Destiny”, “Distractions”, and “Somersault”, where her unique vocal stylings were exposed within the underground and indie music scene of the UK. Furler would go on to release her sophomore album in July 2001 called Healing Is Difficult, a record that was largely inspired by her struggles with alcohol and drug addiction as a means of coping with the death of her then-boyfriend, Dan Pontifex, who died in a car accident. She continued to collaborate with Zero 7 as a vocalist for their songs and released her third solo album entitled Colour the Small One on January 2004. A single from the record called “Breathe Me” was subsequently used in the series finale of the award-winning and critically-hailed hit HBO drama show, Six Feet Under, and was the first instance of Furler gaining viral attention in the United States. Furler’s gradual rise to prominence would prove to have a direct effect on her personal life, and it was reflected in the songs she wrote for her subsequent records titled Some People Have Real Problems (released on January 2008) and We Are Born (released on June 2010). It was during this period where her addiction to prescription drugs and depression spiraled out of control, as well as being diagnosed with having bipolar disorder, that at one point Furler contemplated suicide. Fortunately for her, a friend staged an intervention and Furler was able to turn her life around by committing to a 12-step rehabilitation program and ultimately stopped her substance abuse. With her health and wellbeing back on track, Furler made the conscious decision to take a step back from performing, hire a new management team to help her focus on maintaining her sobriety and private life away from the spotlight, and decided to try her hand at writing songs for other artists behind the scenes. This career move would prove to be a significant milestone in her career as Furler was able to make valuable professional connections with major music stars like Christina Aguilera and Rihanna, the latter of whom she would write the song “Diamonds” (a still of the song's music video pictured above), which would become Rihanna’s twelfth number one single on the Billboard Hot 100 Singles chart. With her songwriting provenance solidified by her peers, more fruitful and lucrative collaborations soon followed in the wake of her initial success. Furler’s songwriting process is defined by two characteristic styles: one is the “high-concept” approach where she utilizes a word or a phrase as a metaphor to convey simple yet emotionally resonant themes (i.e. “Firework” by Katy Perry), or the method which Furler has dubbed as her distinctive “victim-to-victory” technique where the song lyrics express a triumph over difficult obstacles and underlined with a highly anthemic nature (i.e. “Titanium” by David Guetta). Despite Furler’s decision to step away from the limelight and remain in the shadows as a songwriter, she would ultimately make a massive comeback that would truly make her an international household name. In July 2014, she released her sixth studio album entitled 1,000 Forms of Fear, whose songs primarily deal with Furler’s feelings about the pressures of fame and celebrity life as well as acknowledging her previous battles with addiction. This was also the very album that spawned the massive hit single, “Chandelier”, one of Furler’s patented victim-to-victory power anthems and whose music video became a global viral sensation reaching more than 1 billion views thanks to the appearance of dancer Maddie Ziegler (a still of the music video of “Chandelier” featuring Ziegler pictured below). The release of 1,000 Forms of Fear also prompted Furler to make the groundbreaking decision to present herself in public media appearances by obscuring her face with giant hats or wigs and turning her face away from the cameras during TV promotional tours. Furler has explained that she did this as a way to keep her privacy intact and not allowing the pressures of her ever rising fame and popularity destroy the sobriety she worked so hard to maintain. The act would prove to be hugely successful as she presented an eccentric public image that separated her from the very artists she wrote countless songs for. 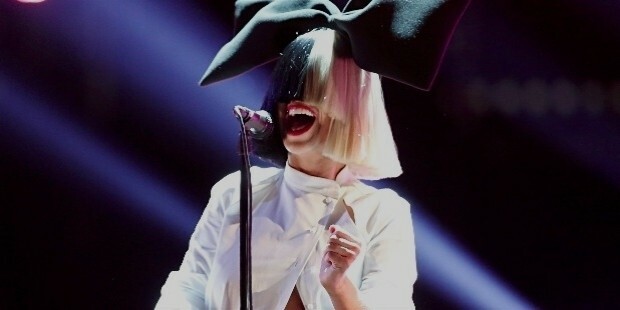 Furler would continue shielding her face in public appearances even as she released her most recent album, This Is Acting, on January 2016. The release of her seventh full-length record ultimately gave Furler the courage to stage live concert performances while still keeping her special subterfuge. 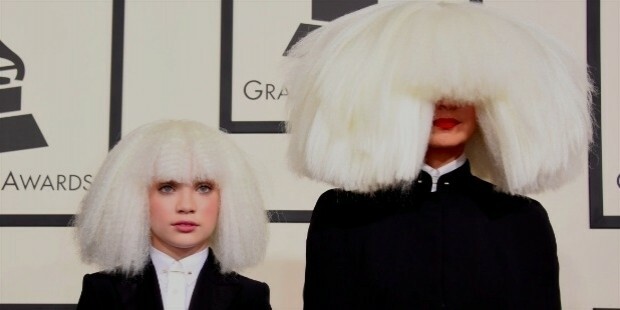 The gamble paid off handsomely when fans and critics raved about her headlining appearance at the 2016 Coachella Valley Music and Arts Festival (pictured below with Ziegler), where the audience likened her set to something close to performance art. She would go on to replicate her success at Coachella to her Nostalgic for the Present Tour, where she enlisted the help of Ziegler and other celebrities like Tig Notaro, Paul Dano, Kristen Wiig, and Ben Mendelsohn to perform choreographed routines to her songs done by Ryan Heffington. Critical and fan reception to Furler’s comeback tour was rapturous as she successfully delivered a unique concert experience even when the audience couldn’t even see Furler’s face hidden behind a black-and-platinum blonde blunt-cut wig. Furler continues to prioritize her health and mental well-being by abstaining from narcotics and alcohol. She is a practicing vegan and is also a strong supporter of animal rights. Furler’s activism for animal rights has led her to participate in a pet neutering advertisement for the Asia-Pacific branch of PETA, as well as partnering with several animal rescue organizations to conduct dog adoption fairs for the duration of her Nostalgic for the Present Tour in 2016. Furler has been open about her bisexuality in several interviews and was previously married to documentary filmmaker Erik Anders Lang. She is an agnostic and considers herself as a feminist. Aside from winning several accolades from the Australian music industry, Furler’s work has garnered multiple awards and nominations from international award-giving bodies such as the Grammy Awards and the MTV Video Music Awards. Furler has also contributed tracks for soundtracks to film and other media such as The Hunger Games: Catching Fire, Annie, The Eagle Huntress, San Andreas, The Great Gatsby, The Neon Demon, Finding Dory, The Twilight Saga: Eclipse, Fifty Shades of Grey, Fifty Shades Darker, and The Hamilton Mixtape. To date, Furler’s songwriting work has sold more than 25 million track sales, including her singles as a lead artist, thereby making her one of the most successful and prolific songwriters in modern history.